Music by Renaissance composers Giovanni Bassano, Melchior Vulpius, Jakob Reiner and Blasius Amon and contemporary composers Matthew Culloton, Ivo Antognini, R. Douglas Helvering and Kim André Arnesen. The inevitable flood of Christmas recordings is an inevitable result of commercial pressures, but I confess that they do not rate as my favourite reviewing task. 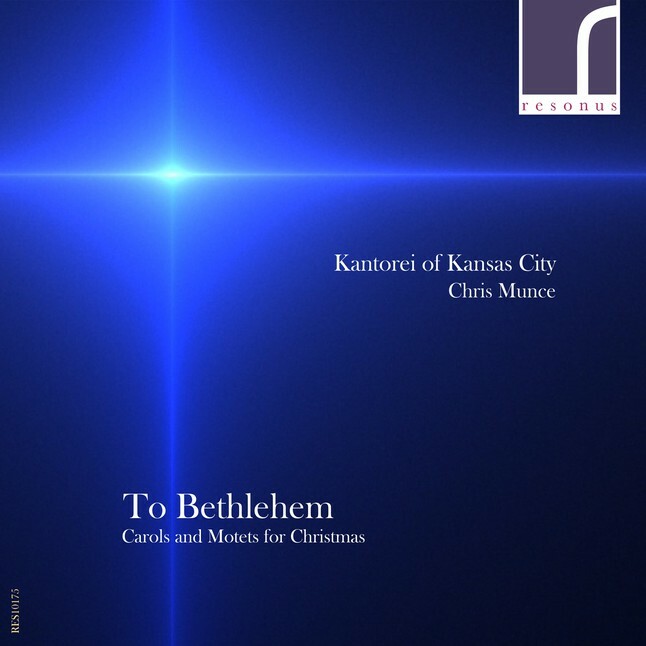 But one of this year’s batch that did stand out, however, was this recording from the Kantorei of Kansas City, a Missouri-based choir that resulted from a choir put together for a wedding in 2009. They have since consolidated into a collection of professional singers under a non-conducting artistic director. This recording is a neat combination of Renaissance pieces with very impressive pieces by contemporary composers, all I think American. It is the latter pieces that really stand out, particularly, dare I say, in comparison to some of the rather tame contemporary Christmas pieces composed in the UK, as judged by home-grown Christmas CDs. There are some real gems here, with fascinating and adventurous harmonies and compositional ideas from both the Renaissance and modern composers. The CD starts with the restrained unison Alleluia that opens David Basem’s Alleluia! O verga mediatrix. It is followed by Jocelyn Hagen’s take on the Advent hymn O come, O come, Emmanuel which, like most of the other reworkings of existing carols, sensibly weave elements of the traditional melodies within their musical structure. The concluding Dormi Jesu by Kim André Arnesen is a particular delight, with its seemingly endless concluding refrain repeating the title words. The singing is impressive, both in solo and as a chorus, although the solo sopranos can wobbly a bit. .